We would encourage everyone to make a will. Failure to do so can often lead to spurious consequences and unavoidable family conflicts, because without a will your assets will be divided in accordance with the laws of intestacy and not by your wishes. When drafting your will, our team ensures that your wishes are recorded and reflected and available tax exemptions are taken into account. We take instructions for the preparation of wills to give effect to a person’s wishes regarding the distribution of his/her estate on death, bearing in mind the prevailing tax regime and available tax exemptions. We encourage all our clients to make a will since failure to make a will can often lead to disastrous consequences and frequently unnecessary and avoidable family conflicts. Currently about two thirds of the population of this country fail to make a will. If you die without having made a will, the distribution of your property will be dictated by the laws of intestacy and not by your wishes at the time of your death. We will ensure that your precise wishes are reflected in the will we draw up on your behalf and then ensure that it is properly signed, witnessed and validated. It is very important that your will is kept in a safe place and therefore, if you wish, we can hold it for you at our offices. We can offer expert assistance in administering the estates of deceased persons. 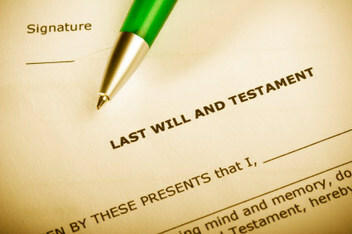 If the person has died having made a will we will carry out the terms of the will. If the deceased has died intestate (without leaving a will) we will administer the estate according to the intestacy laws. This includes preparing and submitting an Inland Revenue return detailing all the assets and liabilities, paying any inheritance tax due in respect of the death, recovering any overpaid income tax for the estate, discharging any outstanding liabilities of the estate, paying legacies bequeathed under the will and distributing the estate in accordance with the will or intestacy laws to the beneficiary or beneficiaries. ​The word “Probate” means literally proof or official acceptance of the validity of a will. The “Grant of Probate” is the official document confirming that the executors named in the will have authority to administer the estate of the deceased person. At Camerons Jones we recognize that the death of a family member or friend can be an extremely traumatic and difficult experience to deal with. We pride ourselves on our ability to deal with all estate matters sympathetically and expeditiously to take away the strain for the executors or the family members dealing with estate matters. We will be happy to make home visits if it is more convenient and can organise all necessary valuations, including where appropriate the clearance and sale of properties and their contents and all associated matters. We seek wherever possible to minimise inheritance tax and other taxes payable by making use of all exemptions available to the deceased person or their executors/personal representatives. 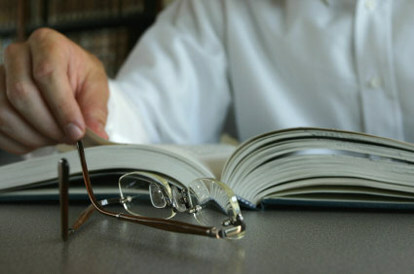 We also deal with estates in which there are disputes: this branch of work is known as ‘contentious probate’ and we seek to resolve all such disputes expeditiously and sensitively having due regard to the feelings of the people involved in the dispute. In certain circumstances it is beneficial for a deed to be executed varying the entitlements of the beneficiaries of an estate under a will in a more tax efficient way. The law enables this to be done within two years of a person’s death – what is sometimes termed “post mortem tax planning”. All the beneficiaries of the will must be in agreement. If minors are involved this is a further complication as they cannot themselves consent to the changes and an application must be made to the courts for consent to be obtained on their behalf. We would be able to draw up such a deed for you within the permitted time period and on the instructions of all the beneficiaries as well as dealing with all the subsequent inheritance tax issues. For persons who lack mental capacity we prepare applications for deputyship – what was previously known as receivership – which involves obtaining a medical certificate confirming the person’s mental capacity and preparing all necessary forms for the appointment of the deputy. We can assist in preparing Settlements and other Trust documents including appointments to beneficiaries, appointments of new Trustees and other associated Trust documents.